Unsure how to cook seafood? Use the tried and true 10 minute rule! Many people think cooking seafood is difficult, but it is easier than you think. A big thank you to our friends at Orca Bay Seafoods for helping people cook up more confidence in the kitchen! 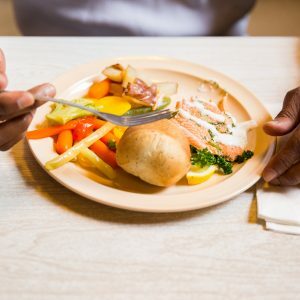 Salmon is oh so nutritious and delicious. And easy to prepare! Not sure how to cook salmon? Preparing it the same way every time, and ready to change it up? Need some inspiration? 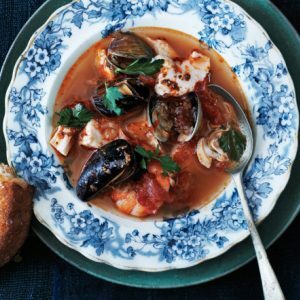 Bon Appetit has compiled an amazing menu for celebrating the Feast of the Seven Fishes during the holidays. There are no hard-and-fast rules about preparing the feast: some people cook seven fish courses, some just put a bunch of seafood in a stew and call it good. Many families keep their own traditions, but everyone who celebrates can agree: Seafood should be prepared and consumed on Christmas Eve. Preferably with wine. Read more here. The Food Guys at Montana Public Radio have a delicious meal idea for canned salmon and tuna. These are very simple recipes that are perfect comfort food for a dark night in December. Crack open a can and give it a try! 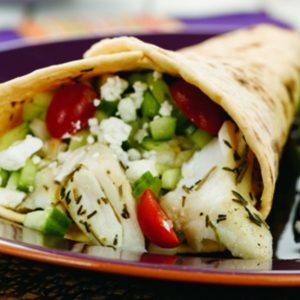 Halibut Taco Recipe from our friends at Alaska Seafood Marketing Institute. 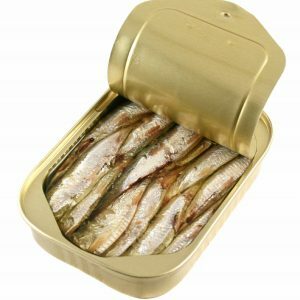 If you've never had sardines, you're in for a treat. It may seem a little daunting at first, but here are 12 ways for you to add some healthy omega-3's to your diet. 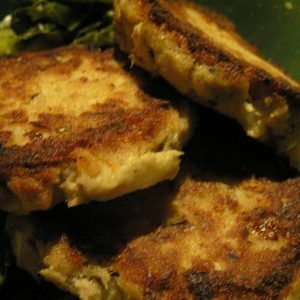 For more information and recipes on eating nutritious seafood, visit Oldways Preservation Trust. Thanks to our Partners at Seafood Nutrition and National Fisheries Institute, here is a salad recipe they made filled with omega-3 fatty acids, protein and a many important vitamins and minerals. 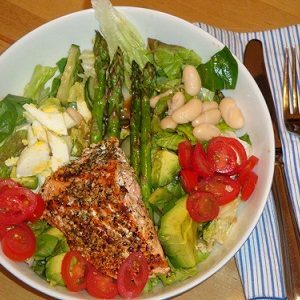 This is a beautiful salad that incorporates the bounty from your local farmers market and salmon. This is a very satisfying and filling dish. If you have never tasted Tom Yum soup you are in for a treat! 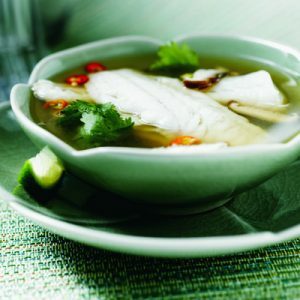 This delicious sour and spicy Thai soup will keep you warm and healthy during this winter season. Thanks to Alaska Seafood Marketing Institute here is a version using Alaskan Pollock that is refreshing and light.